Theresa Mitchell Barbo is Executive Director of Orenda Wildlife Land Trust, established in 1986 to preserve and protect open space for wildlife habitat, fresh air, and clean water. Orenda translates into “protected place” in the language of the Seneca, an indigenous tribe. The Cape Cod-based non-profit currently owns or manages 25 sanctuaries covering over 400 acres throughout Massachusetts. Theresa is also earning a Master’s in Environmental Management at the Yale School of Environmental Studies. She divides her time between New Haven, Connecticut, and Cape Cod. A native of the Midwest, Theresa has been a resident of Massachusetts for over thirty years. In addition to her current coursework at Yale University, she holds a BA in English from Southeastern Massachusetts University and MA in Professional Writing from the University of Massachusetts Dartmouth. She has earned certificates in Supervisory Development and Executive Integral Leadership from the Mendoza College of Business at the University of Notre Dame. Theresa is an award-winning journalist and author of eight books in narrative non-fiction on New England nature, science, culture, and maritime history. While she has specialized in the 19th century merchant marine when Cape Cod sea captains dominated global maritime commerce, Theresa also holds strong research and writing interests in how past human cultures have used their environments, and ways in which present societies conserve and protect land, water, and wildlife. Her works include: Cape Cod Bay, A History of Salt & Sea; A Maritime History of Nantucket Sound; Cape Cod Wildlife: A History of Untamed Forests, Seas and Shores. Her books are available on Barnes & Noble, and Amazon. Theresa is currently working on her latest book chronicling the movement to conserve the iconic loon across America. Her research has taken her to St. Marks National Wildlife Refuge in Florida; southern Louisiana, New Hampshire, Maine, Yellowstone, and other wild places throughout the Northeast and Upper Midwest. Her co-author is Dr. Mark Pokras, D.V.M., co-founder of the Center for Conservation Medicine at Tufts University. She is also a noted lecturer before listening audiences in civic, military and academic circles throughout New England. Theresa is also a communications consultant serving a myriad of organizations – including museums, libraries, and environmental organizations. Up until March 2018, as a consultant she provided clients with meaningful and effective written content for websites, articles, capital campaigns, internal programming and outreach marketing, as well as strategic public relations across a variety of distribution platforms. Theresa is the Founding Director of the 22nd Annual Cape Cod Maritime History Symposium scheduled for November 3, 2018, in partnership with the Cape Cod Museum of Natural History. She is also the co-founder and co-presenter of the illustrated CG36500-Pendleton Leadership Lecture Series that’s based on her book, The Pendleton Disaster Off Cape Cod, the Greatest Small Boat Rescue in Coast Guard History (The History Press, 3rd edition,) co-authored with Captain W. Russell Webster (Ret.) The book tells the true story of the 1952 rescue by four young Coast Guardsmen of thirty-two seamen from the tanker Pendleton, and is a case study in leadership. Since 2008, thousands of young men and women at the Coast Guard Academy, the Leadership Development Center at the Coast Guard Academy, the U.S. Merchant Marine Academy, SUNY Maritime, The Massachusetts Air National Guard, Norwich University, the Massachusetts Maritime Academy, the Maine Maritime Academy, and the Naval Academy Preparatory School in Newport, and corporate clients, have listened to, and have been inspired by, the CG36500-Pendleton Leadership Series. The motto: ‘Timeless Lessons of Yesteryear for Tomorrow’s Leaders.’ Master Chief John E. “Jack” Downey (Ret.) is also part of the Leadership Series. 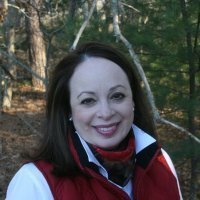 As part of her eclectic civic framework, Theresa served as the 2015 Chair of the Cape Cod and Islands Commission on the Status of Women, part of the larger Massachusetts Commission on the Status of Women that serves to provide a voice for women who are under-served on critical life issues. Theresa is also affiliated with FACE, or, Families Advocating for Campus Equality (facecampusequality.org), an organization dedicated to the advancement of equal protection and due process of law for all students in a college system. Theresa is a former Trustee at Sturgis Library in Barnstable, the Provincetown Center for Coastal Studies, the Cape Cod Museum of Natural History, as well as a former Member of the Cape Cod Business Roundtable. She is also former At-Large Member of NOAA’s Stellwagen Bank National Marine Sanctuary Advisory Council. She is also a former member of the Gulf of Maine Council. She is currently a Member of the Marine Safety & Environmental Protection [MSEP] Advisory Committee at Massachusetts Maritime Academy. Between writing books and community engagement, Theresa served as Communications Director and Founding Director of the former Cape Cod Bay Ocean Sanctuary Program at the Provincetown Center for Coastal Studies. She was also the Director at the Cape Wildlife Center where she co-founded the Cape Cod Wildlife Collaborative, a group of non-profits with a mission to protect wildlife, as well as its key outreach event, the Annual Cape Cod Wildlife Festival, now in its 9th year. In an earlier stage in her journalism career, Theresa was a news anchor and reporter at WEEI-AM, Boston, and at WIBC-AM, Indianapolis, where she covered breaking news stories of national interest. Theresa was also a News Director at two radio stations in Southeastern Massachusetts. She is also a former columnist for The Register Newspaper and The Cape Cod Voice, a newsmagazine. Theresa is a member of the American Society of Journalists and Authors, and the Organization of American Historians. When she’s not writing, or researching books, Theresa can be found with a paintbrush in her hand as she tinkers with oil and canvas, or, with a bow for the cello on which she plays badly but with childlike joy.